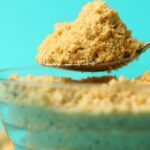 Making your own vegan parmesan cheese is so fabulous you’ll likely want to have a permanent batch of this in your refrigerator, so you can sprinkle it on absolutely everything. We sprinkle it on rice dishes, potato dishes, on salads, on the no-cheese thin crust pizza take-outs we buy, on pasta dishes (of course), veggie burgers, and whatever else we can think of! If it’s a savory dish then chances are it’ll be even more delicious with a sprinkle of this on top. Of course it’s vegan so it’s entirely dairy-free. 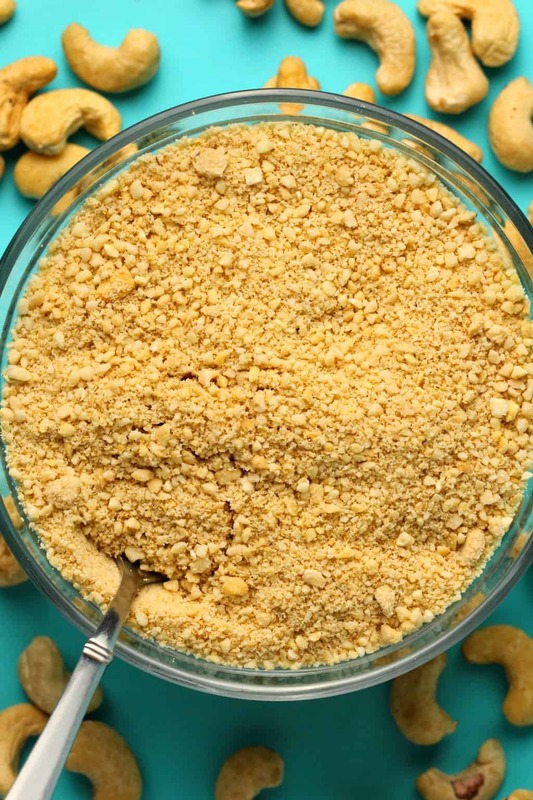 It’s made from cashews, nutritional yeast, garlic spice and sea salt. You need a food processor to make this, and you simply put in the S blade, and pulse it until it’s super fine like you see in the photos. 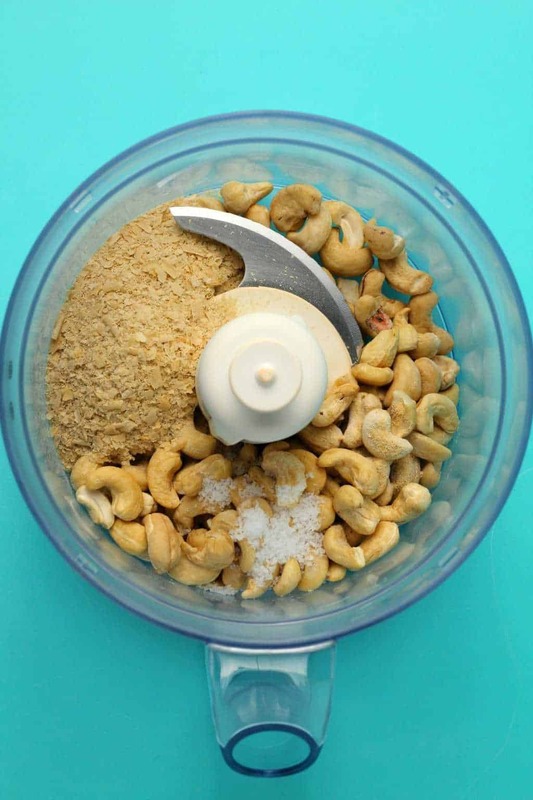 You don’t just want to run the food processor on this one because, ya know, cashews when processed for too long can start to turn into cashew butter, which you definitely don’t want here. So pulse it. Don’t set it and forget it. Perfect to sprinkle on all savory dishes! Keep it stored in the fridge in a sealed container and it will stay fresh and good for weeks! 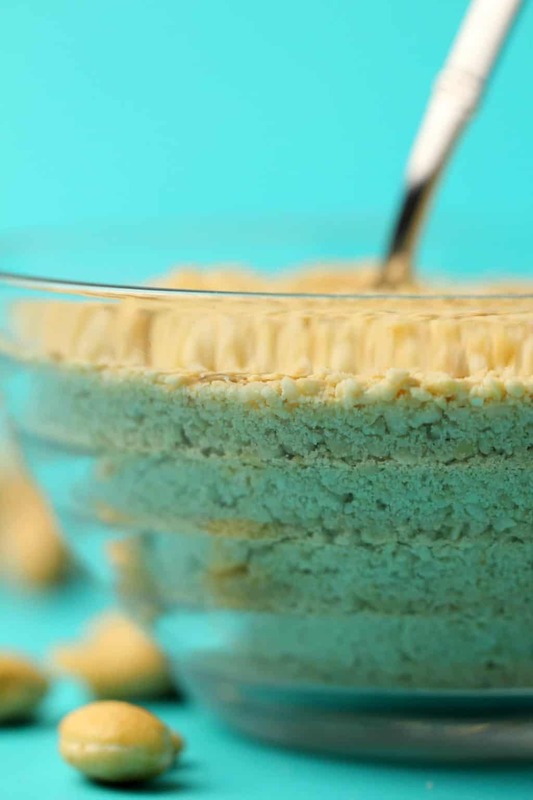 What do you use your vegan parmesan on? Let us know in the comments. And please rate the recipe too! Thanks! 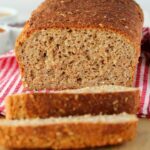 Sign up to our email list to stay updated with all our latest recipes and you’ll get an awesome free recipe ebook too! 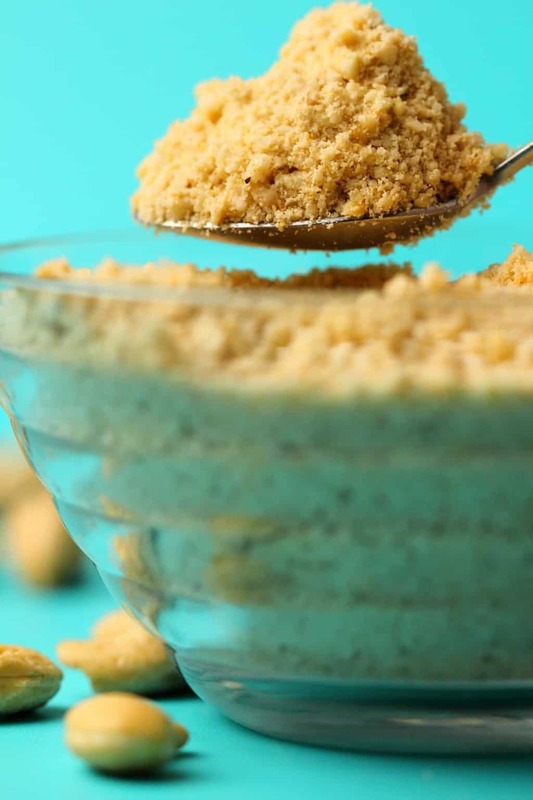 Simple 4-ingredient vegan parmesan cheese! Ideal to sprinkle over absolutely everything, but especially on pastas and vegan pizzas. 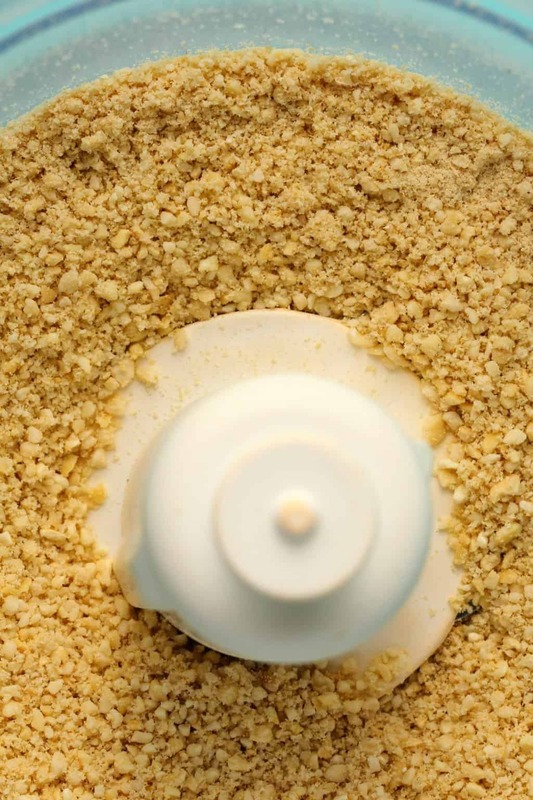 Add the ingredients to the food processor and pulse it on the S blade until it reaches a fine consistency. 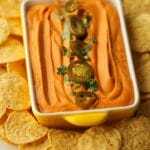 Keep it in a sealable jar in the refrigerator where it will keep for weeks! Sprinkle it on pastas, pizzas, casseroles, salads and anywhere else you can possibly think of! *This is not my original recipe, other geniuses figured it out! 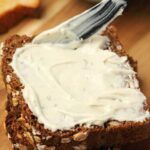 It is a staple in vegan cooking found on numerous vegan blogs. This one I have simply adapted for my own purposes. Been waiting for this for ages – absolutely simple and delicious. 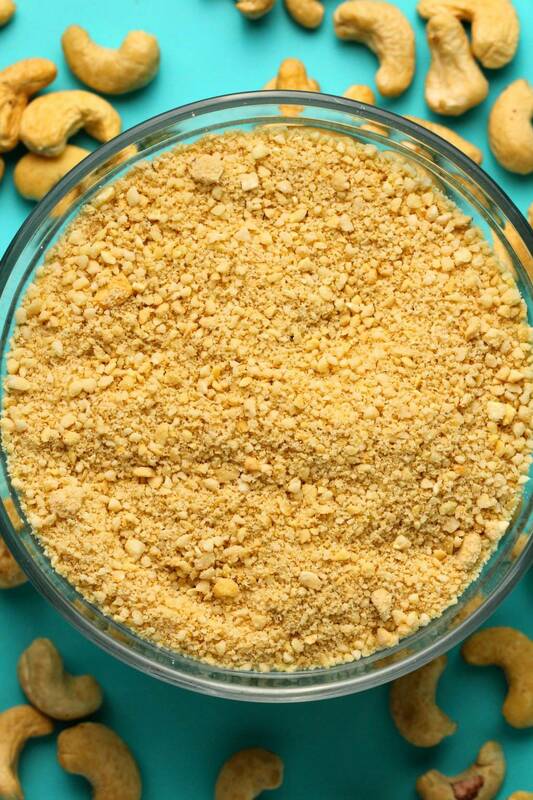 Where do you buy nutritional yeast from in Dubai? Fab – thank you. 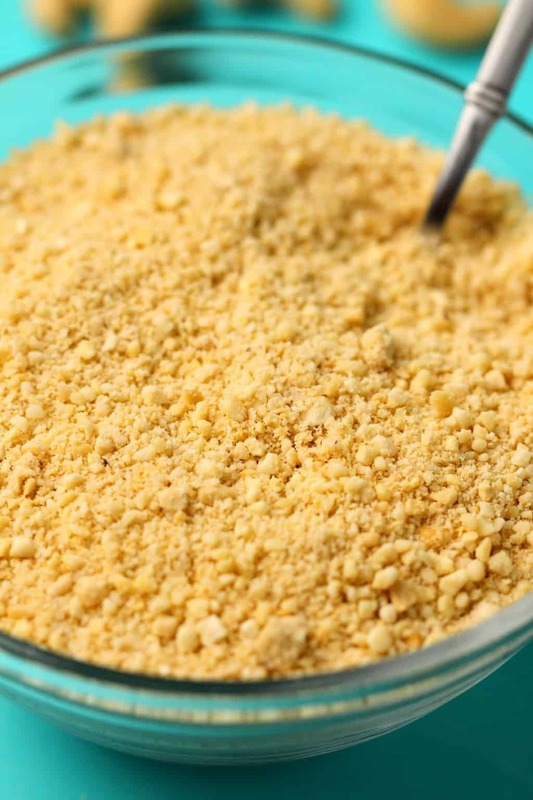 I see so many recipes using nutritional yeast and I’ve never seen any here in dxb (or at least I never remember to look for it when I’m at OC). Good to know its at Geant too. Not that I am anywhere near being vegan currently, but I do want to move in that direction and the thought of missing out on parmesan is pretty awful so it’s great to have a recipe for an alternative. Yay!! Thanks! Hi! 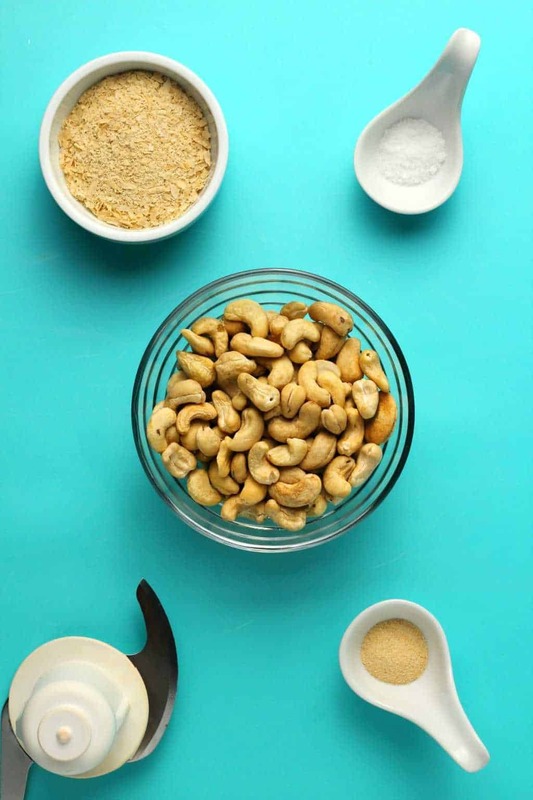 Do you soak the cashews first? No, definitely not, you want it to all be very dry which is how you get it so crumbly like that. If you soaked them first, it would make a cashew cream instead of a parmesan. Do you use nutritional flakes or seasoning? It’s nutritional yeast flakes. I usually have Bob’s Red Mill brand. Thanks for your quick reply. 😊 It is much appreciated. This is delicious! 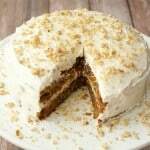 Also can be made with English walnuts, equally as good. 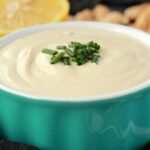 Great on butternut squash bisque, popcorn, steamed veggies, or anything else! Would this also work with roasted unsalted cashews? If I wanted to make this into a sauce to go on gnocchi, would I just add some cashew milk in a high speed blender until desired consistency? Would you do anything else? I stumbled into your recipe because the recipe I initially found called for hemp seeds which I didn’t have. Used slightly less garlic but other than that followed to the letter. It is SOOOOO good! I’m so excited to find something new and simple. I foresee yummy vegan Ceasar salads, zoodles and rosemary vegan parm popcorn on the horizon! 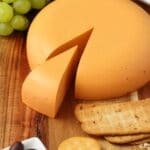 I made this, and while really good, it needs that “bite” that cheeses like your sliceable cashew cheese has. 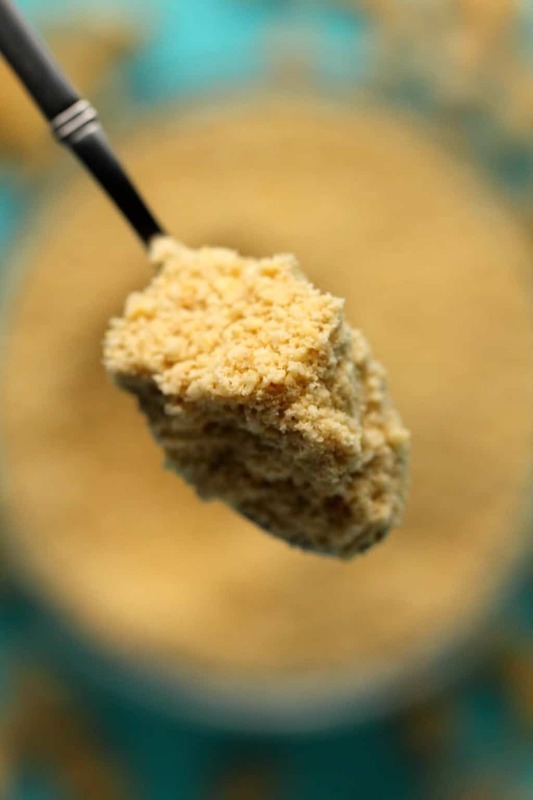 Citric acid powder or lactic acid powder gives it that slightly acidic taste that dairy Parmesan has. I thought about ordering (from Amazon) a lemon powder, but they seem to have citric acid as an ingredient and not sure if the flavoring would be too much. I used lactic acid (food grade) and it added a nice bite with no other flavors. You’d have to experiment with the amounts. I didn’t measure, just added til it tasted right. Big thumbs up on the sliceable cashew cheese from my husband this morning. This will be perfect on Veggie Delight Subway sandwiches which are really missing something when you leave off the cheese. 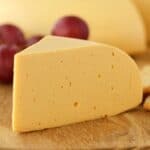 In fact, it will likely taste a lot better than the dairy cheeses. 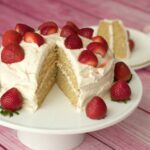 You’ve done an amazing job on developing this recipe! And big points for it being so fast to make. 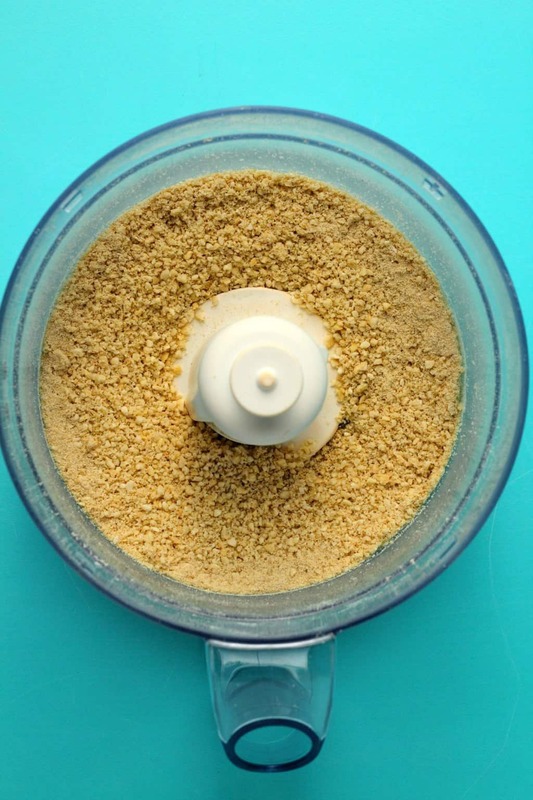 Is a blender acceptable if I don’t have a food processor? Yes, I’m sure it would be fine, just make sure you ‘pulse’ blend it.